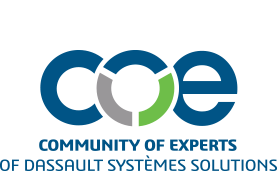 Have questions about different areas of the COE website? Interested in learning how to utilize the features we offer better? Check out the below videos to get a better feel for some of the benefits we offer and how to engage with the Community of Experts! Go to COE Ask the Experts Webinars. Go to the COE Annual Experience & TechniFair. Go to the COE Volunteer Committees. Go to the COE Discussion Forums. Go to the COE 3DEXPERIENCE Discovery Panel.